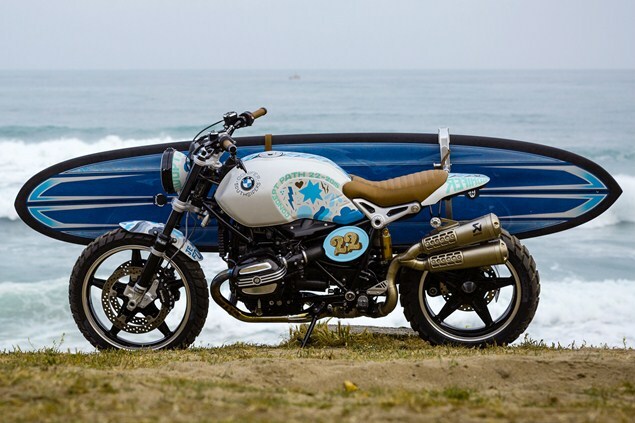 BMW today revealed that the R nineT Scrambler, originally shown as a concept, has been put into production for 2016 and will be unveiled at the Eicma show in Milan on the November 17. Visordown revealed in June that the R nineT's radial-mounted Brembo monobloc front brake set-up had been substituted with lower-spec Brembo calipers on the Scrambler concept, and the upside-down Öhlins fork swapped for a right-way-up one. It points to the Scrambler being priced lower than the existing model. Confirmation it was going into production came in a statement from BMW's corporate news arm in Munich. Along with the news about the R nineT Scrambler, Schaller also said that BMW will be growing its sub-500cc urban range, which will include bikes with electric drive-trains. Earlier today BMW revealed its first entry into the sub-500cc market, the 313cc single-cylinder G310 R.